UFC 119 Results, Replay and Play-by-Play: Frank Mir knocks out Cro Cop! It's weekend once again and another awesome night of juicy UFC goodness is impending. For those who have been following PRIDE and K-1, specially to the fans of Mark Hunt, this is the night that all of us have been waiting for! Mark Hunt is now part of the Ultimate Fighting Championship! Mark Hunt will face Sean McCorkle on the preliminary card of UFC 119. If you're not a Mark Hunt fan, then you're not interested about this news. As we all know since last month, UFC 119 will feature a bloody battle between two famous Heavyweights, Frank Mir and Mirko "Cro Cop" Filipović. 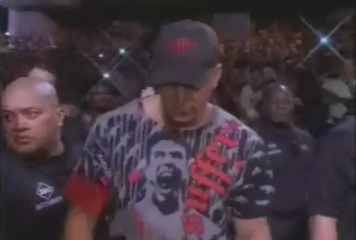 This is a big night for Cro Cop and Mir fans. Antonio Rodrigo Nogueira is suppose to be facing Frank Mir this Saturday, too bad he's injured and he needed a surgery. 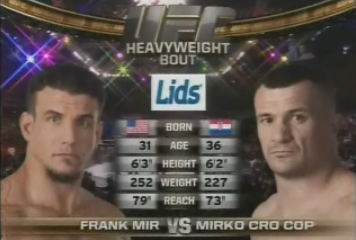 Good thing Cro Cop is ready for the challenge to face Frank Mir in the main Heavyweight bout this Saturday night. I predict that Frank Mir will be victorious against Cro Cop but I'm not that sure. Still, I place my bets on Frank Mir. Antonio Rogerio Nogueira, the injured's twin is present in the UFC 119 main event and will face Ryan Bader, the undefeated Light Heavyweight UFC fighter. I predict that Bader will remain undefeated and I'm pretty sure of it. Nogueira is well prepared for this match, but he's not good enough for Bader. UFC 119 will also feature a Welterweight bout between Matt Serra and Chris Lytle. This fight card has an obvious winner and it's Chris Lytle. Chris Lytle is a tough opponent and Matt Serra will surely be defeated by Chris Lytle. Two Lightweight bouts will also be featured in UFC 119's main card. I'm not familiar with these Lightweight fighters and I can't predict who will win. I'll leave it to you guys. Sean Sherk vs. Evan Dunham and Melvin Guillard vs. Jeremy Stephens are the Lightweight bouts that will happen in the 119th Ultimate Fighting Championship. UFC 119 is the first UFC event that will be hosted in Indiana. UFC 119 main event will be broadcasted live from Conseco Fieldhouse in Indianapolis, Indiana, United States. The live stream will start at exactly 10:00 PM ET and 7:00 PM PT. As usual, UFC 199 live play-by-play updates will be posted here at Sports Live Blogger. 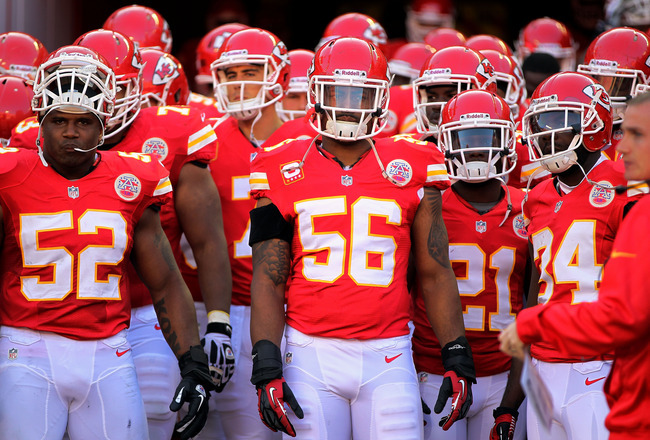 Just bookmark this page and get back here a few minutes from 10PM ET / 7PM PT. See you this Saturday night guys! This is gonna be another bloody and thrilling night for all UFC fans across the globe! This yellow box will contain live updates of UFC 119 later. UPDATE September 25, 2010 10:00 PM: The main event has just started! Enjoy UFC 119 guys! UPDATE September 25, 2010 10:31 PM: We're currently on the 3rd round of the Melvin Guillard vs. Jeremy Stephens Lightweight bout. It looks like this match will end on a split decision. UPDATE September 25, 2010 10:35 PM: Melvin Guillard won via Split Decision! Now let's go to the next match! UPDATE September 25, 2010 10:40 PM: The next match is the Lightweight bout of Sean Sherk vs Evan Dunham. UPDATE September 25, 2010 10:40 PM: Both are now inside the arena and preparing for the Lightweight bout. Who will win? I really don't know because I'm not familiar with the two fighters. UPDATE September 25, 2010 10:50 PM: SopCast channel is now beck. Let's go back to SopCast now because the audio at LiveVSS is a disaster. We've removed the embedded link above. 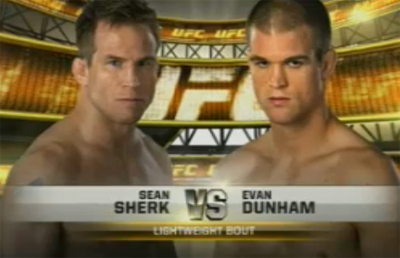 UPDATE September 25, 2010 10:51 PM: We currently on the first round of the Sean Sherk vs Evan Dunham match. UPDATE September 25, 2010 10:53 PM: Ooops! 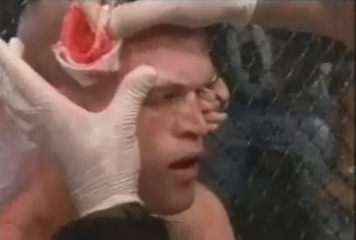 It looks like Evan Dunham has been wounded. UPDATE September 25, 2010 10:54 PM: And we have a black screen at SopCast again. Please stay put it will go back in a few seconds. UPDATE September 25, 2010 10:55 PM: We're currently on the second round of the Dunham vs Sherk Lightweight bout. 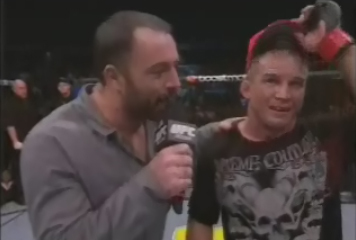 UPDATE September 25, 2010 11:09 PM: After the bloody 3 rounds, Sean Sherk defeaeted Evan Dunham. He won via Split Decision! UPDATE September 25, 2010 11:10 PM: Now let's get ready for the next match. The Welterweight bout of Matt Serra vs Chris Scott Lytle! 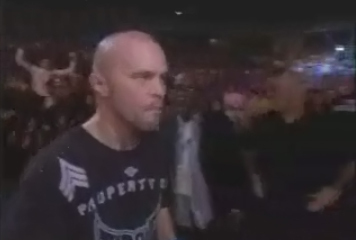 UPDATE September 25, 2010 11:19 PM: Chris Lytle and Matt Serra are both entering the arena. It seems that everybody is booing for Matt Serra. Indiana is Chris Lytle's territory, so obviously, everyone will cheer for him. Good luck to both fighters! 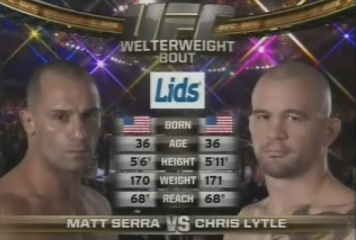 UPDATE September 25, 2010 11:21 PM: Round 1 of Chris Lytle vs Matt Serra begins! This is a match between two Brazilian Jiu-Jitsu and Boxing experts! Let's see who's better. UPDATE September 25, 2010 11:24 PM: The first few miutes of the round seems to be boring. They are just punching and keeping away from each other. Both are concentrating on defense. UPDATE September 25, 2010 11:26 PM: And round 1 has ended! Now let's proceed to the second round. I can here some Matt Serra fans cheering for him right now. UPDATE September 25, 2010 11:26 PM: Both are great boxers and that's what we can see right now. No submission or choking attempts yet. I really think this Welterweight bout will end in a split decision. Lytle did an uppercut and the announcer said that Serra was a bit hurt, but it's like that was nothing for Serra. UPDATE September 25, 2010 11:29 PM: And now Lytle is punching Serra again and again. It looks like Serra's pretty hurt this time. Lytle is wearing blue and Serra is wearing white. UPDATE September 25, 2010 11:33 PM: We're now on the 3rd round and if this end via split decision, Chris Lytle will definitely win tonight. 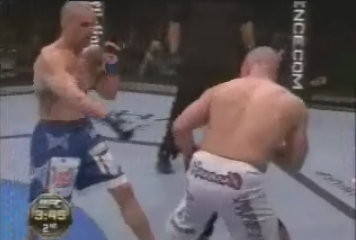 UPDATE September 25, 2010 11:37 PM: As predicted, Chris Lytle won via unanimous decision! Yey! 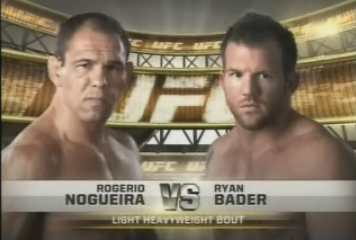 UPDATE September 25, 2010 11:43 PM: The Light Heavyweight bout of Antônio Rogério Nogueira vs the undefeated Ryan Bader will start in a few minutes. I predict that Ryan Bader will remain undefeated tonight! This is the co-main event tonight and the biggest fight of Bader's career! Rogerio said that this match will be the first loss on Bader's career, but let's see if he can really defeat this young and tough undefeated fighter. UPDATE September 25, 2010 11:47 PM: Both are now entering the arena. This match will definitely be exciting and thrilling! 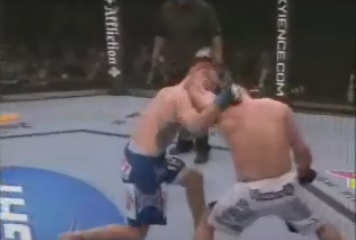 UPDATE September 25, 2010 11:59 PM: In the first few seconds of round 1, Ryan Bader shows us an impressive performance. In the last minute of the first round, he attempts to defeat Rogerio via submission, but Rogerio escaped. Bader is really doing great in round 1. UPDATE September 26, 2010 12:13 AM: Hell yeah! As predicted once again, Ryan Bader won! He remains undefeated! Now let's head on to the main event of UFC 119! UPDATE September 26, 2010 12:22 AM: Tonight's main event is about to begin. 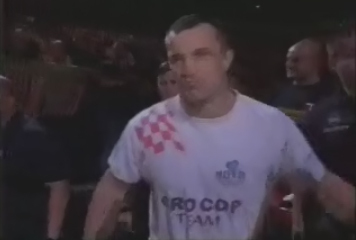 Frank Mir and Cro Cop are both entering the arena. UPDATE September 26, 2010 12:26 AM: Bruce Buffer now introduces both fighters. This is the main event of the evening! Let's all watch this exciting Heavyweight match! UPDATE September 26, 2010 12:27 AM: On the blue corner, former PRIDE 2006 Open Weight Grand Prix Champion Mirko Cro Cop. On the red corner, the former UFC Heavyweight Champion Frank Mir! UPDATE September 26, 2010 12:28 AM: Mir on the white trunks and Cro Cop on the black trunks, the match begins now! UPDATE September 26, 2010 12:36 AM: Round 1 has just ended and the 2nd round has just started! UPDATE September 26, 2010 12:46 AM: We're now on the last round of this Heavyweight bout. Sorry for the lack of updates in this match as I've been watching the match and I forgot to give updates in the first and second round. Round 3 is almost over and I'm pretty sure that this will end via unanimous decision. UPDATE September 26, 2010 12:47 AM: Wow what a surprise! 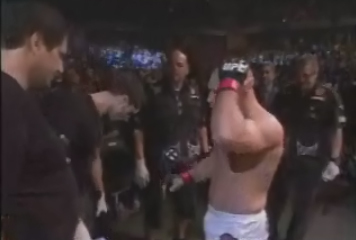 Frank Mir suddenly knocks out Cro Cop at 4 minutes and 2 seconds of Round 3! Congratulations Frank Mir! Replay videos will be uploaded later. UPDATE September 26, 2010 3:17 AM: Replay videos are now available from mixedmartialartvideos.com. Click here to view all UFC 119 replay videos.